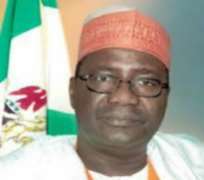 The Director-General, National Directorate of Employment, Alhaji Abubakar Mohammed on Friday decried the escalating unemployment problem in Nigeria. He stated that school leavers and graduates of Nigerian tertiary institutions appear to be most adversely hit by this development, adding that most Nigerian youths are unable to secure job because they do not have requisite skills. He said that to address the situation, NDE was playing a key role wealth creation, self employment and job creation through implementation of government unemployment reduction policies. Mohammed, who was represented by Director, Small Scale Enterprise, NDE, Mr. Jibrin Aye, spoke during the disbursement of resettlement equipment to 16 graduates of vocation skills acquisition training of the NDE in Ilorin, Kwara State, on Friday. 'The unemployment situation which has taken a new face globally has degenerated into worrisome proportions in and outside Nigeria. 'The Federal Government, in pursuance of its Transformation Agenda, has made concerted efforts to redress this escalating crisis of unemployment and this includes a strategy to revamp the informal sector,' Mohammed said. Kwara State Coordinator, NDE, Alhaji Safiyu Awosanya said equipment worth N3.4m were distributed to the 16 beneficiaries. He added that the equipment include, deep freezers, industrial machines, hairdressing and barbing instruments. He stated that the disbursement of the tools and equipment was a direct a call to the beneficiaries to be agents of economic change and transformation. The Special Guest of Honour, Alhaji Ibrahim Lawal said that with the current global economic meltdown, it is important that the management and staff of NDE should continue to bring useful ideas and innovations that will assist the government in the formulation and implementation of policies that have direct impact on the socio-economic wellbeing of the populace. Meanwhile, the Secretary-General, Offa Descendants' Union, Chief Wosilat Macarthy and a former member of the House of Representatives, Mr. Bashiru Bolarinwa, have urged the Federal Government and Nigerians to step up the effort in addressing insecurity and high rate of unemployment in Nigeria. Macarthy spoke in Offa, Kwara State on Friday at a special prayer of the union for a former Special Adviser to President Goodluck Jonathan on New Partnership for Africa's Development, Dr. Tunji Olagunju. She stated that Olagunju played significant role in economic transformation and empowerment of many Nigerians.